HMD Global has launched a slew of Nokia-branded smartphones ever since the return of the famed Finnish brand in the market last year. One of those, the Nokia 7, is now reportedly all set to get a bigger variant that could possibly be unveiled at the upcoming MWC trade show in Barcelona next month. 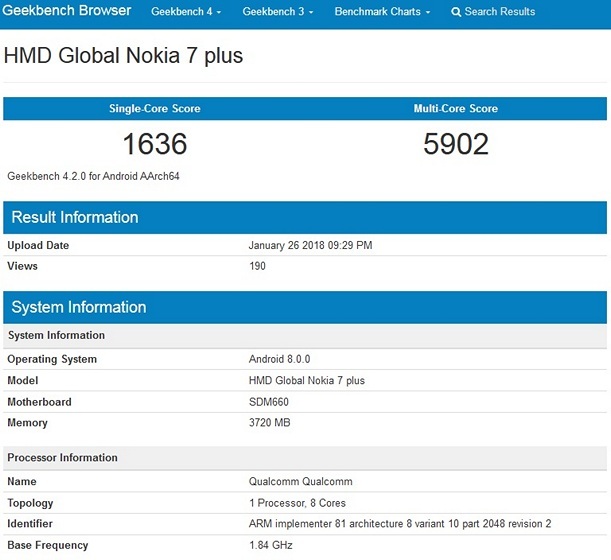 While there’s no word on the subject from either Nokia or HMD Global, a device, named ‘HMD Global Nokia 7 plus’, has now been spotted on benchmarking site Geekbench, revealing a few of its key details. According to Geekbench, the Nokia 7 Plus will be powered by Snapdragon 660 SoC from Qualcomm, and offer 4 GB of RAM. It is also running Android 8.0 Oreo out-of-the-box, although whether the final SKUs run Android 8.1 remains to be seen. As can be seen from the accompanying image, the device scores 1636 in the single-core test and 5902 in the multi-core test. As is the case with Geekbench listings, we don’t get any info on the device’s screen-size, although, the ‘Plus’ moniker leads us to believe that it will have a screen that’s at least somewhat larger than the relatively-small 5.2-inch display on the original Nokia 7. It will also be interesting to see whether the company jumps on the 18:9 bandwagon or sticks to the old 16:9 aspect ratio that immediately makes any new smartphone look ancient in this day and age. Either way, with no more info forthcoming for now, we’ll simply have to wait a little longer to get a better idea about how this new device will turn out in terms of its hardware specs and software features. 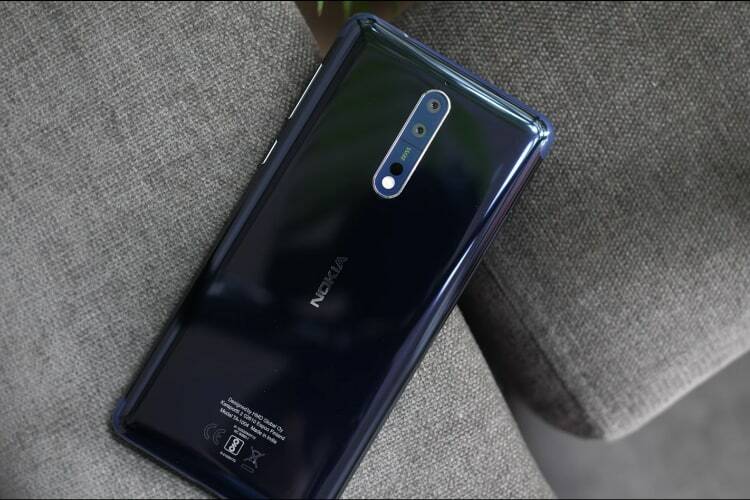 Meanwhile, if the Nokia 7 Plus is, indeed, launched at the MWC 2018, it will be one of several Nokia handsets that are expected to be unveiled at the event, given that the company is tipped to announce its Nokia 9 flagship there as well, alongside the Nokia 6 (2018 model) and the entry-level Nokia 1 with Android Go.